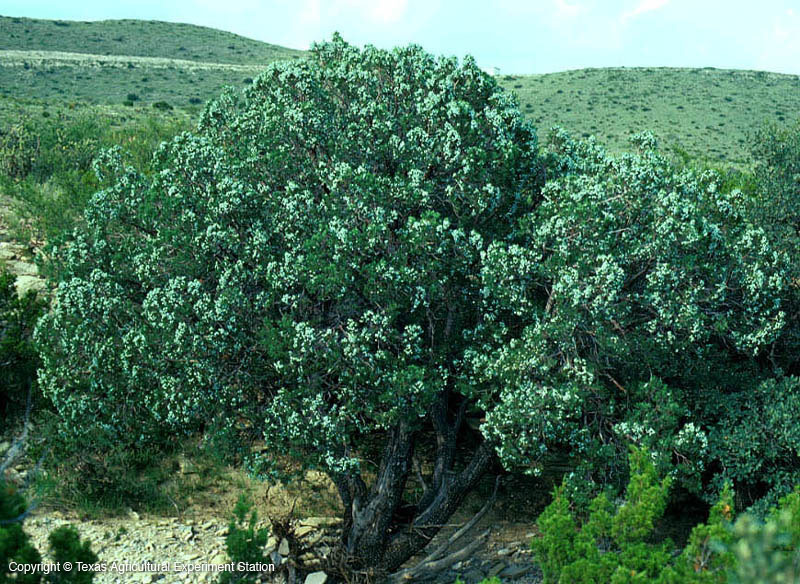 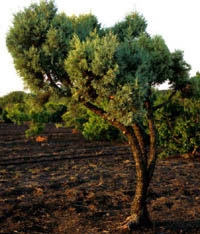 Alligator juniper is found on dry hillsides and oak woodlands at moderate elevations in west Texas. 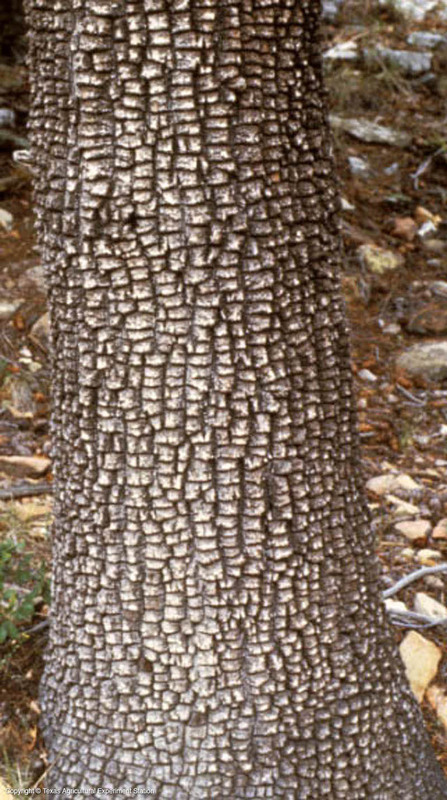 It is a small tree with green to blue-green leaves, and rough, square-plated bark that resembles the skin of an alligator. It grows on both alkaline limestone and slightly acidic igneous soil, although it seems to prefer the latter. 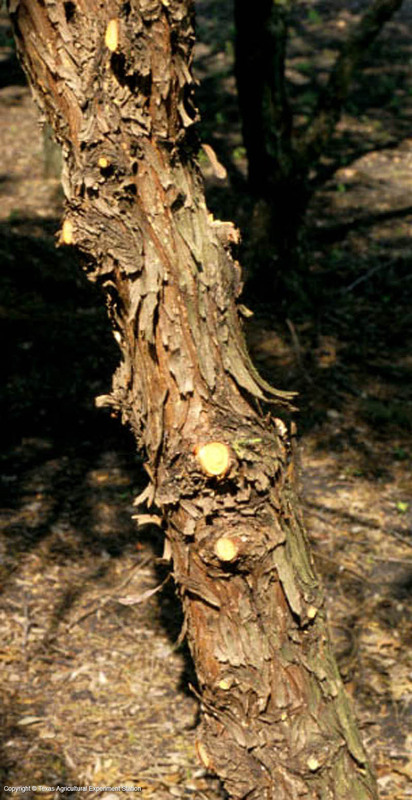 The fruit takes two years to mature: the blue-green, berry-like cones have a blush the first year and become brown and leathery as they ripen.